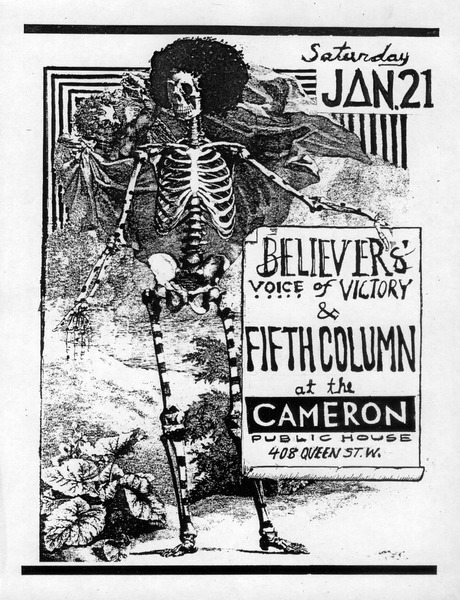 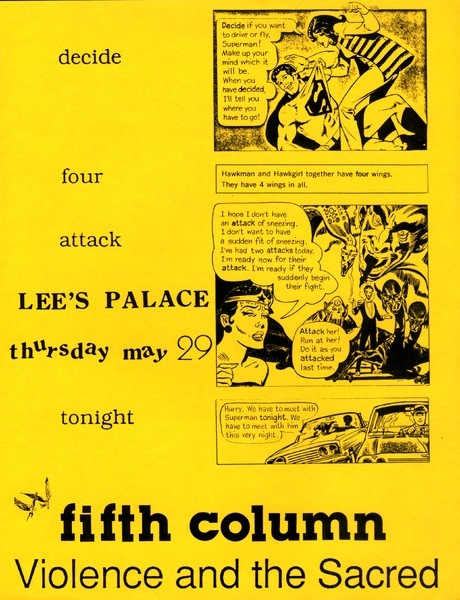 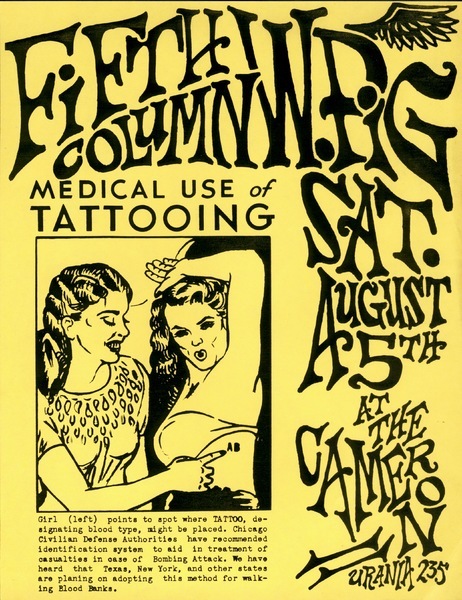 A poster for a Fifth Column - Violence and the Sacred concert at Lee's Palace. 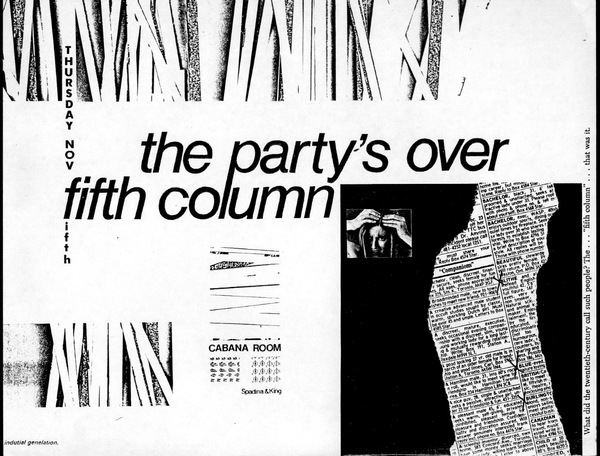 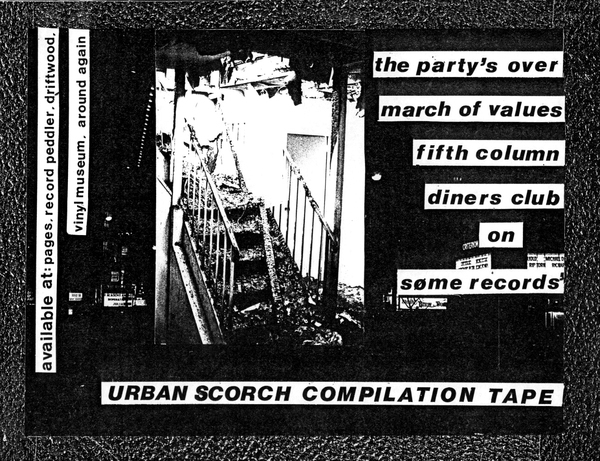 Poster for Urban Scorch Compilation Tape featuring The Party's Over, March of Values, Fifth Column, and Diner's Club, on Søme Records. 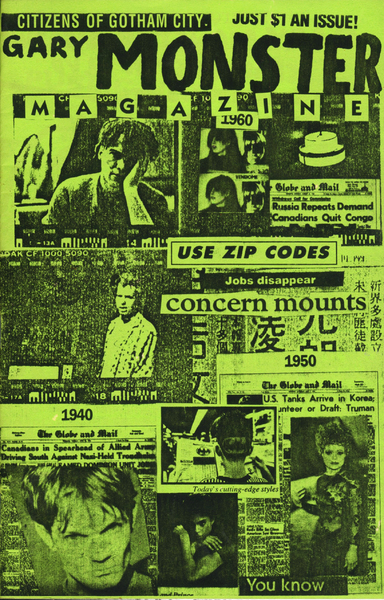 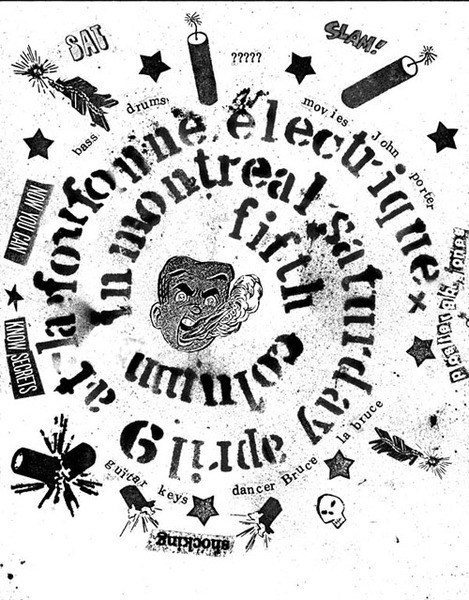 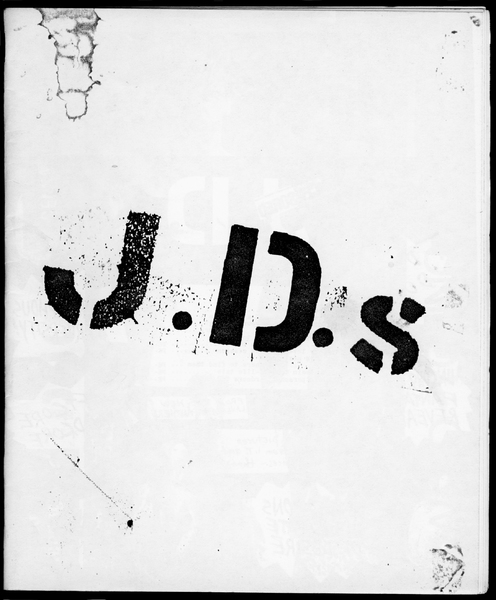 A zine produced by Gary Monster.